In 10-inch skillet, cook chorizo over medium-high heat 5 to 7 minutes, stirring to break up large pieces, until no longer pink; drain. In slow cooker, mix chorizo, beans, tomatoes, 1 cup of the cheese and the chipotle chile; stir to combine. Cover; cook on High heat setting 1 1/2 to 2 hours or Low heat setting 2 1/2 to 3 hours or until bubbling; stir to combine, and top with remaining 1/2 cup cheese and the cilantro. If you want a little more heat, increase the chipotle in adobo to 2 tablespoons. 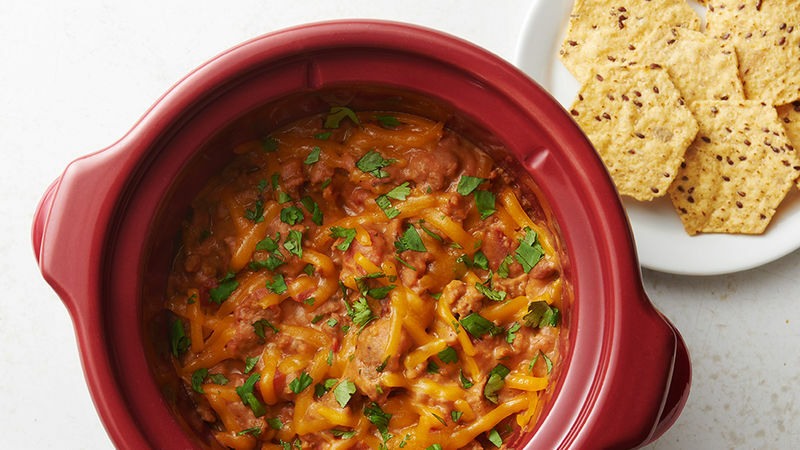 This dip doubles as a great filling for quesadillas or tacos.